Surely to be a source of much debate. By now we’re sure most if not all of you have seen the refreshed 2018 Ford Mustang. The most relevant changes are the ones you can’t see, such as the new 10-speed automatic, MagnaRide damper technology, and the elimination of the V6 engine. But inside and out there are immediately noticeable changes to the 2015-17 Mustang, and we’re willing to bet it’s the exterior updates that are more controversial. For starters, there’s that new front fascia and bumper, which now boasts a more angular look. The hood and grille have also been restyled that supposedly gives the car a leaner look with improved aerodynamics. What we like in particular are the new all-LED front lights and some of the new wheel designs. Step inside and you’ll find a new 12-inch all-digital LCD screen featuring Ford’s Sync 3 infotainment system. The overall instrument panel looks very familiar, which is a good thing, but we dig the new hand-stitched wrap with contrast stitching and padded knee bolsters. It’s also nice to see Ford upgrading some materials, such as the door handles, rings, and bezels being finished in slick aluminum. All in all, the Ford Mustang is better than ever. 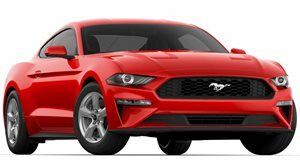 Yes, the new front end design will take some getting used to, but Ford has taken a great car and made it more competitive against its long-time rival, the Chevrolet Camaro. That’s a new matchup we can’t wait to see. In the meantime, let us know what you think of the 2018 Mustang Vs. its 2017 predecessor.